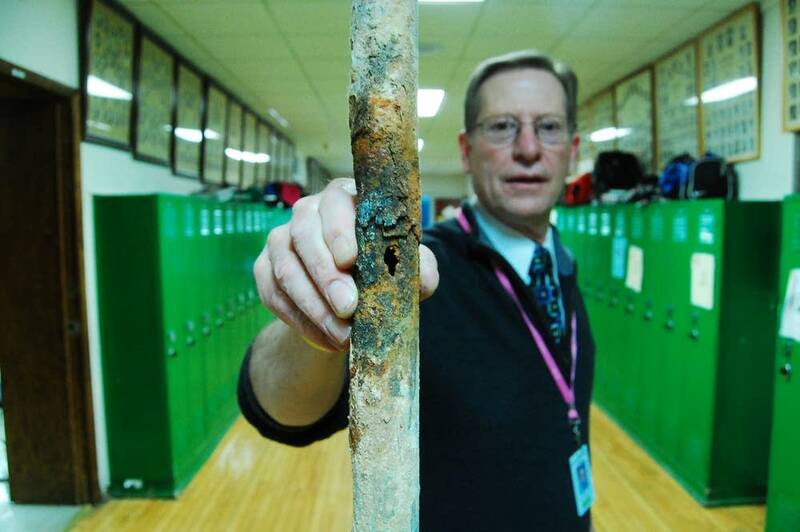 In the 106-year-old Rushford, Minn. school, teachers and staff deal with daily surprises caused by the aging building: unusable bathrooms, crumbling ceilings and bursting pipes. In addition to the usual quirks of an old building, the town about 50 miles southeast of Rochester was hit with serious flood damage five years ago that sent raw sewage through the first floor and into the settling earth below. The fact that Rushford needs a new school isn't that incredible: Scores of districts across Minnesota could make compelling arguments for new facilities. But the Rushford-Peterson school district wants to pay for it through state funding instead of raising local property taxes. The bonding bill is the borrowing the state traditionally does every other year for infrastructure projects. Gov. Mark Dayton has already proposed his bonding bill, which included $775 million in projects. He did propose some funding for state-owned schools, like the Perpich Center and the state academies for the Deaf and Blind in Faribault. But his proposal didn't include any bonding money for traditional districts like Rushford-Peterson. "We do have districts out there in a similar situation as us; the buildings are literally falling down around them, and despite everything going on, we're making the best we possibly can, but there's no light at the end of tunnel for us," said district Superintendent Chuck Ehler. "And we need our state and we need our elected officials to be aware of that and be willing to be risk-takers, along with us, and say, 'Absolutely, schools are part of our infrastructure.'" Ehler has dismissed the traditional process of asking voters to raise property taxes to pay for it, saying it's not feasible given the property wealth of both Rushford and Peterson. Local taxes would have to increase 48-percent to raise the $29 million for a new school. Voters would approve a 17-percent increase, which would raise $9 million if the state throws in the remaining $20 million, Ehler said. So he's made several trips to St. Paul to lobby lawmakers. The school's problems became evident during a recent visit to the building. "You can't use the urinal, you know why?" said district Superintendent Chuck Ehler. "The sewer pipe is completely rusted... The urine has been running into the sand base below the building... Those are surprises I find almost on a daily basis." But at least part of the bathroom was still usable, which is more than you can say for the bathrooms on both the second and third floors. But there are also the usual issues you get with a 106-year old building: Wooden floors creak, stairwells are not handicap-accessible and only wide enough for one person at a time and there are tennis rackets in classrooms for swatting away the bats that occasionally sneak in through the wood-framed roof. Ehler's office is now decorated with a recently broken hot water pipe and a piece of plaster that's so old, it's made with horse hair. Plaster chunks constantly fall from the ceiling onto the dropped ceilings below, sending dull thuds through rooms. "How many successful farmers do you know that are milking cows in barns built in 1906? They're not," he said. "Agriculture is making advances... education needs to be given the same advances." 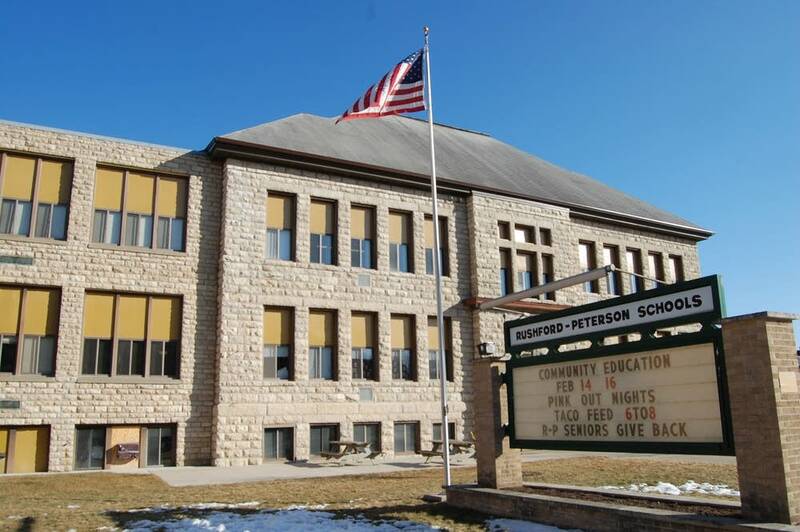 Ehler isn't the only superintendent in Minnesota vying for a new building. Other districts looking to get money from the state include United South Central in southern Minnesota, Red Lake and District 916, which is an intermediate district that provides special education and other programs for 10 districts in the northeast metro. No one at the Capitol questions Rushford's needs, but the use of state money is giving some pause, like Sen. Gen Olson, R-Minnetrista. She chairs the Senate Education committee. "The issue is every decision has some consequences and so what does this open the door for?" Olson said. "I think we should anticipate what might be some of those consequences as we determine whether we need to make some changes in that statute... or whether we need to work on a different policy." Bonding bills traditionally have focused on state and regional needs, Olson said. Projects proposed this year include a new state emergency operations center, a visitor's center for the state-run Kelley Farm in Elk River and a host of highway and university campus projects. The argument against Rushford is that while it would be hard to win approval, the school district does have the power to seek higher taxes from voters. The University of Minnesota and MnDOT do not. Also, adding K-12 projects wouldn't make the bonding bill larger -- it would just make the line longer of people asking for finite resources. Rushford is seeking bonding money through an unusual exception in state law. There's this grant lawmakers created back in the 80s that was meant to help consolidating districts build new schools to meet the needs of the new district. Those grants have always been funded through the bonding bill, so there is precedent for K-12 projects to be in a bonding bill, but it's very rare. The last time such a grant was used was 1994, when lawmakers approved funding for a new ACGC High School in the central Minnesota town of Grove City. Rushford consolidated with Peterson more than 20 years ago, but it's still eligible because this little-known law never limited when a district could ask for the money. Alice Hausman, the top-ranking Democrat on the House Capital Investment committee school funding in Minnesota has evolved into a model by which districts fund their buildings locally and the state funds the content - the actual educating. Her committee considers bonding bills. The state has not kept up with its end of the bargain, Hausman said, but she's still not sure that overall model should change. "School boards ultimately look at where schools... how many classrooms, etc... and so that's driven by local decision... and when it's driven by local decision, it seems logical that property taxes would follow that," she said.